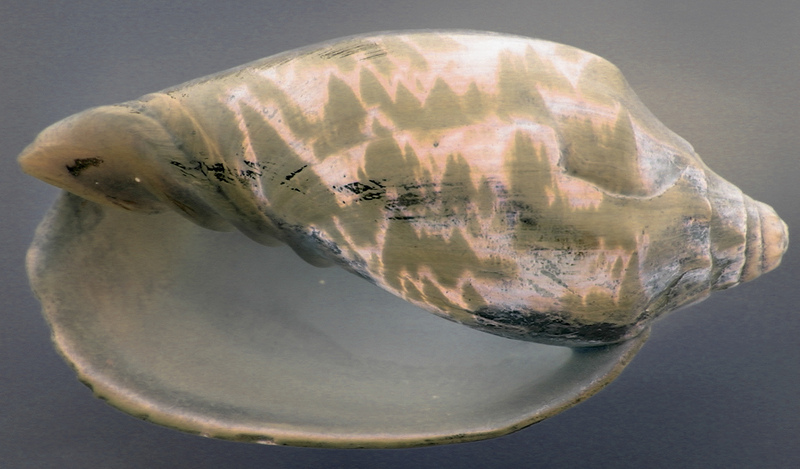 The interior space of a shell reminds us of the heart, where transformation can happen. Image: freeimages.co.uk. Deepening our earlier conversation about our own practices supporting personal reinvention, in support of our consulting and coaching practices – and of your reinvention needs, we now explore the theme of creating space in the heart to allow for transformation. TB: It’s hard to bring about transformation while living in the head. Transformation happens when attention is centered in the heart. A few years ago I participated in a transformative retreat with Father Richard Rohr of the Center for Action and Contemplation. It changed my life, and every day I still connect with the experience and Father Rohr’s teachings. During this men’s retreat, which was a modern initiation process based on ancient practices, we were asked to not refer to anything outside ourselves: not even our jobs, spouses, or children. For the entire week, we did not know the profession or status of our fellow participants. We could only identify ourselves as who we were at the core. The best part: this stripped away the identities I carried. It was basically me. At first, we were apprehensive. Not really knowing what to expect from the experience (letting go of control) and not being able to rely on the false identities we normally think of as our true selves, we felt vulnerable. Once the ego is put in check and the focus is directed inside, there is room for growth and true transformation. This is what took place for all who were a part of the experience. There are leadership lessons to be drawn from this type of experience. Accepting the fact that we really cannot control most things, and being intentional in developing a high level of self-awareness can have a positive impact on others and the organization as a whole. – Practice 3: Explore on the internet for a teacher or speaker who offers daily messages of inspiration, reflection, or inquiry, and subscribe to his or her list. Or choose a book of daily meditations from your bookstore or library. Commit to spending 10 minutes a day reading and journaling about what comes up for you during the reading. Spend an extra 3 minutes writing about how the reading and reflection changes your state of mind or the place of your attention. Keep it up for 30 days, and write a final reflection about what you learned and what you noticed about yourself. This might be about three pages long. If you choose, you can renew your commitment for another 30 days. Here are links to two teachers who offer emails and other resources for meditation: Father Richard Rohr and Tara Brach. KB: I agree about creating “room for growth.” I find that space is a valuable ingredient in allowing transformation to happen and connecting with our truest identities. As a student of Iyengar yoga for more than ten years, I’ve learned that it’s possible to create much more space in the joints than I ever imagined was feasible, while also being more grounded. This allows my consciousness to be more expansive, and therefore I am more open and present for what is and what can be. As a consultant and coach, my clients and their situations take me to places I am not expecting, and when open and grounded, I can respond in the most helpful ways. Recently I have been using a guided meditation developed by the Tibetan Buddhist Monk, Tulku Thondup. He noticed in working with Westerners that there can be discomfort with the body, and therefore he created a meditation to create greater ease and connection with the body. In his book, Boundless Healing, Thondup guides the meditator through connecting with all the body parts (such as feet, liver, heart, and brain), and then seeing the trillions of cells in the body. And, since physicists believe that matter is really just a condensed form of light, he has the meditator see all the cells as filled with light, and even enter and explore a single cell through the imagination. Just as in my experience with Iyengar Yoga, I found my concept of self, possibility, and space to shift. If I am really a giant mass of light-filled cells, are the possibilities not endless? – Practice 4: Find a book or recording of a guided meditation that inspires you and expands what you believe is possible. Work with it daily or at least several times a week, and notice how it changes your energy level, mood, ability to be present for yourself and others, and what shifts happen in your life. For example, try the guided meditations in Thondup’s book, Boundless Healing, or the CDs on breathing and “listening to the inner voice” by yoga master Angela Farmer. TB: The power of reinvention is not in big things, but in small things. For example, what are the “tapes” I play in my head? There is power in simply noticing the tapes (e.g., negative messages), and knowing how I can switch them to positive thoughts. I look for little inconsistencies between what I believe in, what I communicate to others, and how I am practicing on a personal level. When I get stressed and things are not happening in my preferred time frame, I lose sight of the faith concept. I have to work to reconnect with personal faith, belief, and trust. I keep catching myself in those moments when I’m inconsistent with what I instill in others and how it plays out for me, and that awareness allows me to shift. I want to be consistent with my values. In my work supporting leadership development, I take leaders through personal sustainability journeys. These journeys are about being comfortable with being less in control and being able to see yourself. If we can see ourselves as stewards of the Earth, our organizations, families, and children, we can become more aware of what sustainability really means. We are stewards of their well-being. Transformation is an inside-out job: the leader has to lead with personal transformation. KB: I also find, in leadership development work, that when enough emotional safety is created, there is a natural progression of moving into the heart. While we maintain an overall focus on the business issue at hand, it is only through stepping into a place and time of being in the heart that transformation can happen. Having new awareness and consciousness from this journey is what then allows movement and progress on the business issue. We welcome your comments and stories below. Please share your experiences with how “moving into the heart” is and whether you find it an essential practice and competency to support leadership and personal reinvention. Note: Several readers have made comments pertaining to Parts One and Two. You can read those comments here.